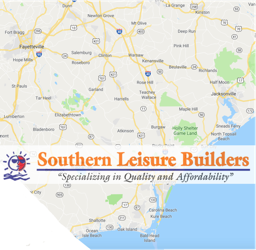 Our sunroom installation contractors serve the entire Eastern North Carolina region. Below is a list of our top markets you can find us installing new Sunroom, Screened Room or Pergola. Our team is committed to delivering you with exceptional service. As one of the fasting growing contractors in the Eastern North Carolina region, we’ve earned a solid reputation among hundreds of homeowners.